Rule number one in long-term investing is to understand how the businesses you expect to profit from will make money – otherwise, how can you be confident they will? Annual reports are the most complete source of public information on how businesses make money, and how they intend to make more money. Investors who read them have a big advantage. Amazingly, most investors don’t bother reading annual reports. That was the conclusion of Jim Rogers, who co-founded a fund with George Soros in 1970, and then retired after a decade to travel the world investing. The best piece of advice he ever received, he wrote, was from a fellow passenger on a plane who recommended he read the annual report of every company he might invest in. Do that, and he’d have done more to understand the firm than 98% of the investors on Wall Street. I doubt much has changed. That’s because annual reports can be published up to six months after a company’s year-end, by which time the headlines may have long been in the public domain. Results are trailed in trading updates, confirmed in preliminary results, and, typically, by the time a company has published its annual report, the vast majority of analysts and journalists have moved on. Preliminary results are rarely complete though. Their purpose is to get the information on how the company performed in the year swiftly to the market. For long-term investors, it’s often the stuff that’s left out of the preliminary results, information about how the business makes money rather than how much it has made, that is most interesting. Before we can analyse that, though, we need to get our hands on the report. In one sense, that’s easier than it ever has been. Annual reports are freely available on corporate websites, if you remember to look. It’s straightforward to create this setting. Just click on the arrow next to the Setting box at the bottom of the blue List view, select Create new…, and give your setting a name. Then add the relevant columns using the Add Column… button in the List view menu bar. 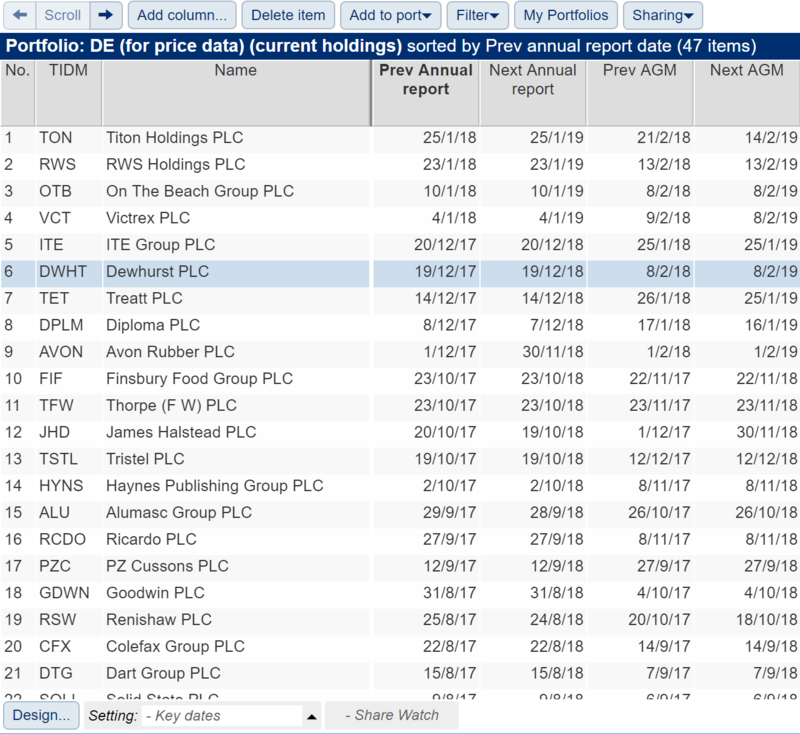 I apply the setting to the list of shares I follow every so often, sorting it so the companies that have most recently published annual reports are at the top. You can also sort by Next Annual Report, which shows what’s coming up (to sort by a column, just double-click on the column heading). 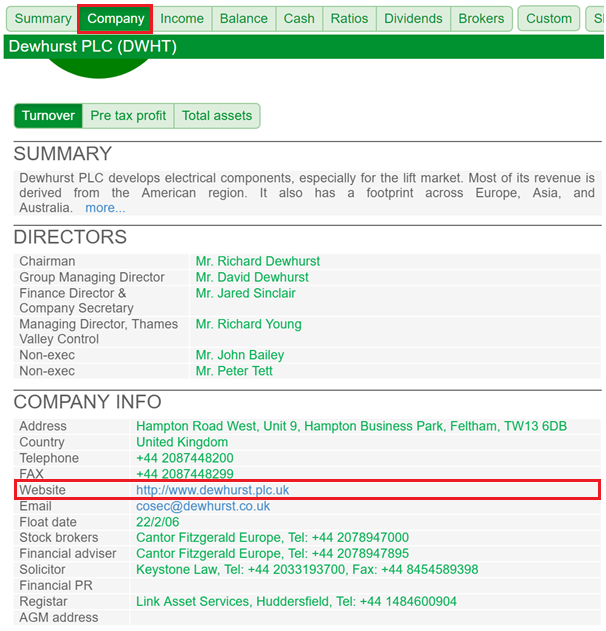 A visit to the corporate website, listed under Company Information in the Company tab of the green Financials section of SharePad, is usually enough to retrieve the most recent annual report, and a reference library of previous years’ annual reports. Annual report aficionados sometimes recommend reading the document from back to front. The words and numbers executives put at the front of the report are designed to impress, or excuse poor results. Satisfied by platitudes, we may not even persevere to the back-end of the report where the words are more technical, the numbers are more numerous and, perhaps, less misleading because they’ve been examined by the firm’s auditor. Working through annual reports in a straight line from front to back makes less sense now companies on the main market of the London Stock Exchange must explain their business models (how they make money) and strategies (how they plan to make more money) in Strategic Reviews, typically slap-bang in the middle of the report, a practice some AIM-listed companies have adopted too. You can start where you like; the important thing is to know what you are looking for, what to skim, and what to read more carefully. Generally, I’m trying to figure out a company’s strategy, and ways I can test whether the strategy is working. It’s the strategy that will deliver the profits upon which my prosperity depends. I start by putting data on revenue, profit, cash flow and borrowings into a spreadsheet. Because I know what I want and where to find it, this process often only takes about 15 minutes per annual report but even so, you may wonder why I don’t just rely on SharePad to give me the hard numbers, since it has excellent data, the ability to build custom tables and I have probably already looked at SharePad to decide whether or not to investigate the company. I ask myself the same question, and the answer is always the same. To familiarise myself with the data I like to handle it myself: highlight it, annotate it, and adjust particular numbers, so I’m building my own financial model of the company. Strategic Report Chairman’s statement Comments on performance and briefly sets expectations for rest of the year. Reports on wider issues like changes in the board. Chief executive’s statement Comments on performance in much more detail. May expound strategy and briefly set expectations too. Operational review Comments on performance in excruciating detail often at a divisional level. One reason for not reading the annual report front to back is you may have lost the will to live by this point. Financial review Ties the operating performance to the financial performance, can help explain financial anomalies. Business model Explains how the company makes money. Strategy Explains how the company plans to make more money. Principal risks The small print. Often derided as legalese intended to avoid culpability if things go awry, principal risks sections sometimes explain what could stop the company making more money. Governance Board of directors Mugshots and potted biographies. Useful to judge the directors’ experience. Remuneration report If the general level of executive pay seems excessive to you, you’re not alone. This is where you can find out whether pay is excessive even by current norms. Financial Statements and notes to the accounts Auditors’ report For accounting geeks: The auditor’s report on aspects of accounting that could result in the biggest misstatements (i.e. inaccuracies or fraud). Sometimes the explanations help explain convoluted accounting. Sometimes they just confuse us more. Income statement, statement of financial position, statement of cash flows Crucial numbers lurk here. Segmental report If the company has different divisions, the segmental report tells you where the profit is coming from. It can be especially revealing if you track changes over many years. Other notes to the accounts Depends on the company. For acquisitive companies, the note on the intangible assets will tell you the value of the assets acquired. For companies with large defined benefit pension schemes, the corresponding note will tell you the size of the overall obligation. 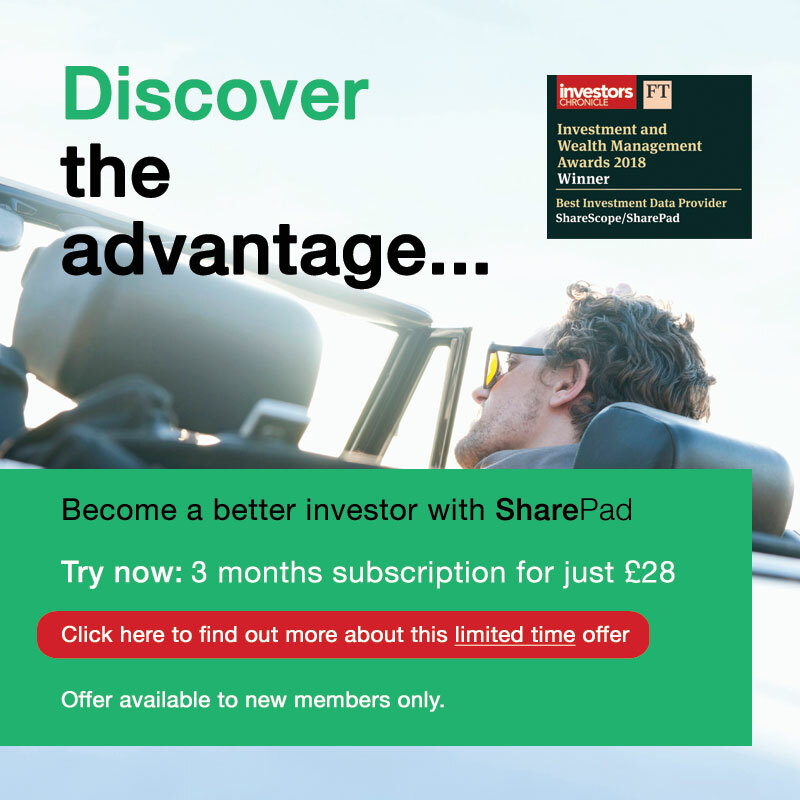 Look out for my next article in a fortnight’s time when I’ll use examples from annual reports to demonstrate what we can learn from some of these sections – the sections investors tend to overlook.